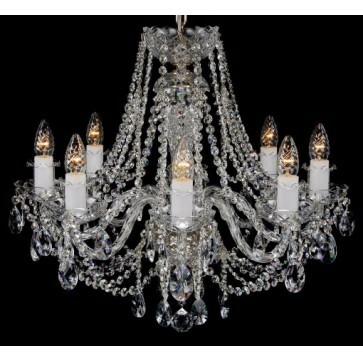 A 24 light chandelier style pendant celing light with a silver body covered in a crystal shell with crystal droplets. 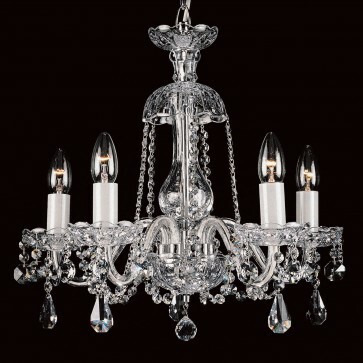 The twenty four curved silver arms are in a three tiered formation and covered in crystal from the Czech Republic. 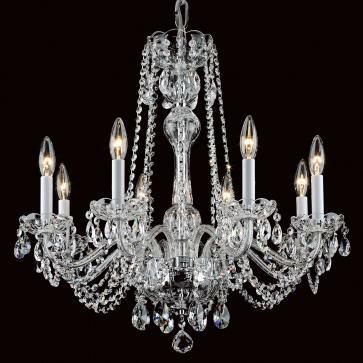 Each arm end has a white candle stick effect bulb holder housed on an etched crystal bowl with crystal droplets hanging around the edge. 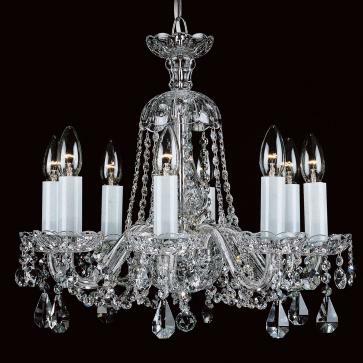 The multiple strings adorned with crystals draped from the top of the framework down to each arm and also from one arm to the other. 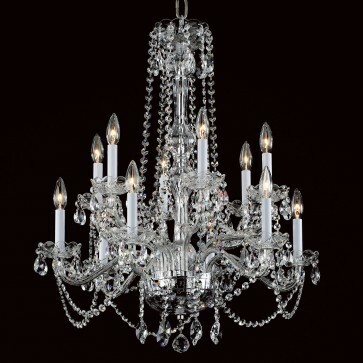 Brights of nettlebed offer a wonderful selection of Chandeliers. 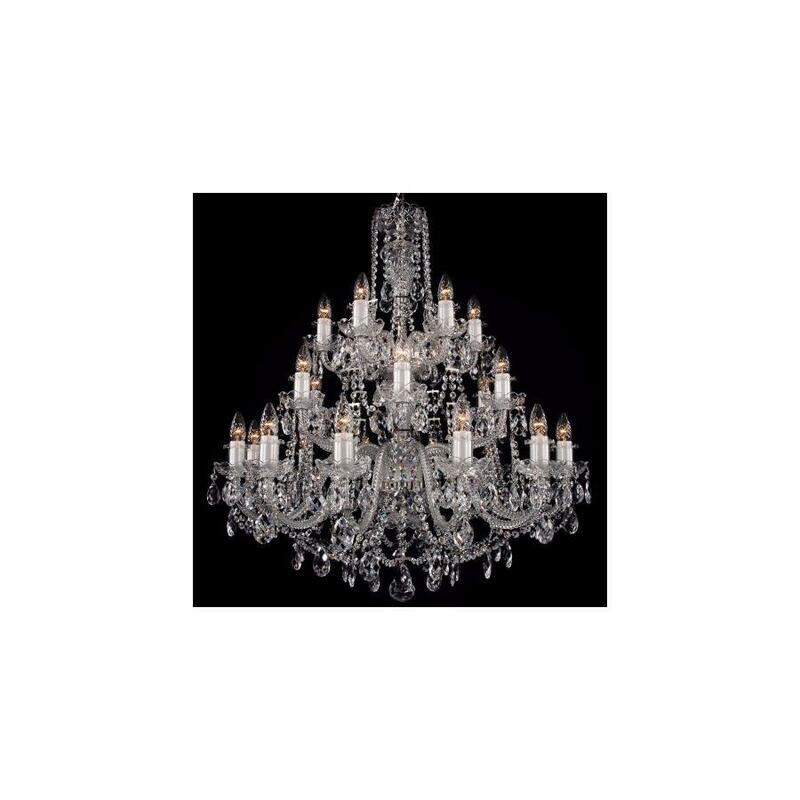 For more information on our range of Chandeliers please click on a product from the Chandeliers range below.